Event description We are pleased to invite you to the first Belgian Clubs Relay. 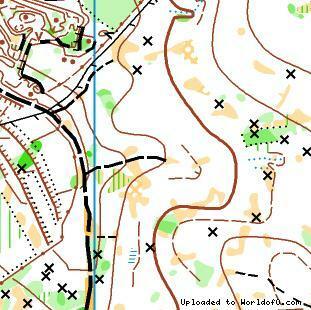 You can count on high level orienteering for this national event (mapper : Orest Kotylo, UKR). Saturday April 18th > Morning : Training > Afternoon : Middle Distance in Chantemelle (terrain used for the 3 Days of Belgium 2008) Sunday April 19th > Morning : Club Relay in Arlon military camp 6 legs relay (5 km - 7 km - 3 km - 5 km - 3 km - 7 km) Each team needs to include: at least two women, at least one runner aged 16 years (or less), at least one runner aged 40 years (or more) and at least one runner aged 50 years (or more) (these requirements can be combined). Individual races also available: easy / difficult Accommodation Arlon Sport Centre (Hydrion): bedrooms, camping, caravaning, dinner, breakfast. We hope to be able to welcome you for this event, which is ideal for a great club week-end. Short race report With hamok in third place and ARDOC second, ASUB is on top of the podium of the first Belgian Clubs Relay.